There’s the kind of restaurant that serves ravioli stuffed with monkfish and oxtail accompanied by pickled kumquat, and there’s the kind of restaurant that serves strawberry milkshakes and fries in paper cones. Chef Rob Evans, 46, and his wife, Nancy Pugh, own one of each. The couple purchased Hugo’s, their upscale flagship eatery in Portland, Maine, in 2000. In 2005, they also began serving panini, salads and fries at Duckfat — which features poutine made from frites crisped in the eponymous poultry grease. In the wake of several awards — Food & Wine magazine named Evans one of 10 “Best New Chefs” in 2004, and last year he garnered a James Beard Foundation award for “Best Chef: Northeast” — both eateries are booming. Although Evans and Pugh are currently focused on building a home on 82 acres in Limington, they plan to open several more branches of Duckfat over the next few years. One of them, Evans hopes, will be in Burlington. That may be one reason he agreed to come to town and participate in a panel discussion during Vermont Restaurant Week. Along with Essex, N.Y., farmer and author Kristin Kimball and Vermont authors Jeff Roberts and Rowan Jacobsen, Evans will field questions about how American foodways are changing in the 21st century, and Vermont’s role in the process. His big break came during a stint as head chef at a restaurant in rural Deer Isle, Maine. An enthusiastic customer wrote him a letter of reference for Virginia’s The Inn at Little Washington, and Evans “started there in garde manger and worked my way up through the kitchen,” he says. At the time, the Inn was the only restaurant in the country to hold five-star awards for both dining and lodgings. Happily, he got the job and ended up working alongside wunderkind Grant Achatz, now owner of Chicago’s Alinea. “I don’t like to throw around the word ‘genius’ too much, but if it ever applies in this business, it applies to him,” Evans says. Evans isn’t the type of chef who suspends food in front of diners on bobbing wires or places plates on pillows that exude herb-scented air. But he likes to apply touches of the avant-garde to the food at Hugo’s. “Outside of what people call chemicals — baking soda’s a chemical, if you really think about it — [avant-garde cuisine] is a point of view, a playfulness,” he suggests. The upsurge in business allowed Evans and Pugh to open Duckfat right across the street. After a trip through Europe, they had a hankering for perfect French fries and panini. “We thought about opening something that had a crispy hot sandwich. We couldn’t find a good sandwich in town,” says Evans. There’s been plenty of growth at Hugo’s, too. “Ten years later, we’re really happy with the space and what the food has evolved to,” Evans says. His national profile gives him a chance to put funky fare on the menu, such as pig’s-tail “jalapeño poppers” and a cod’s-head trio of cheek, tempura tongues and poached throats. Although Evans and Pugh have a long way to go before they finish building their house and get back to constructing their restaurant empire, Vermonters can be comforted by the fact that B-town looms big on the couple’s radar. Last May, while in town to see Ray LaMontagne, they checked out the old Smokejacks spot. “It was a perfect location,” Evans admits. The pair agreed they weren’t quite ready to jump into something new. Still, who knows what may happen next time they come to town? Want to help persuade Rob Evans to open a Vermont restaurant posthaste? Come hear him speak at the panel “Food in the 21st Century: Vermont and Beyond” on Saturday, May 15, at 10:30 a.m. at The Essex: Vermont’s Culinary Resort & Spa. $15; a $35 luncheon with the panelists follows. To register, call The Essex at 878-1100. One day it’s snowing; the next day half the population of Burlington is dining al fresco on Church Street. What better time to call attention to Vermont restaurants? This week, Seven Days publishes its annual dining guide, 7 Nights. Next week, from May 14 to 20, the paper presides over the state’s first Vermont Restaurant Week. More than 50 area restaurants — from St. Johnsbury to St. Albans — are offering prix-fixe deals in an effort to make dining an affordable adventure for everyone. The concept has taken off in hip food cities such as Seattle and New York City. We couldn’t let the land of artisan cheese, microbreweries and community-supported agriculture be last to the table. What does Vermont Restaurant Week mean for diners? At Junior’s Italian in Colchester, 15 bucks could buy you a salad, spaghetti and meatballs, and cannoli. At Café Shelburne, $35 could get you mussels in puff pastry, duck confit with potato gratin and chocolate fondant with pistachio crème anglaise. But there’s more to it than gorging on delicious dishes. At The Essex: Vermont’s Culinary Resort & Spa, a panel discussion of local and imported luminaries digs into what makes Vermont products and restaurants special — and what opportunities we’re missing. What’s dinner without a movie? The Food & Wine Film Festival at Merrill’s Roxy Cinema should give diners plenty to chew on with showings of the documentaries Fresh and Food, Inc., as well as foodie-friendly fiction films. Other events help food lovers expand their tastes along with their perspectives: a wine dinner at 156 Bistro in Burlington, a spread of craft beer and gastropub fare at Montpelier’s Three Penny Taproom, and a pairing of artisan cheeses with unique condiments at The Essex. To whet your appetite, this issue of Seven Days digs into the subject of food. More and more, local eaters are going public about their palates. Alice Levitt sought out seven “citizen reviewers” who post critiques on our 7 Nights website and discovered what drives them to praise — or knock — an eatery. For advice on what makes a useful online review, we turned to Lara Dickson, owner of graphic- and web-design biz Deep Dish Creative. Suzanne Podhaizer spoke with two out-of-state gourmets visiting for Restaurant Week: Chef Rob Evans, who will appear on Saturday’s panel, and fromager Tia Keenan, the artist behind what promises to be the most unusual cheese pairing the state has ever seen. Both are big fans of Vermont’s culinary culture. Want more? 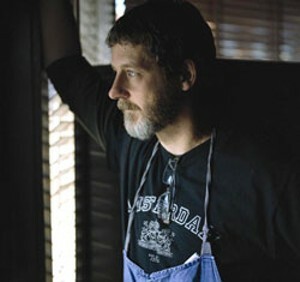 Andy Bromage commandeered a table at “Vermont restaurant central” — Leunig’s Bistro — so he could interview the maître d’. A meaty insert provides detailed menus for each participating restaurant, as well as a full calendar of Restaurant Week events.